Sports hall Sport Vlaanderen and sports hall HoGent. A team consists of min. 6 and max. 12 players. A mixed team consists of min. 3 women – min. 3 women on court. The tournament will be held under the ABC Pool/CUP system. The system can be changed by the organization depending on the number of participants in the class. The substitutes could be changed during the game. Most games are played to 2 winning sets to 25 points. Eventual 3th and last set is a tie-break up to 15 points. The games will be played with Mikasa MVA300 or MVA200 balls. Match balls are provided by the organization. 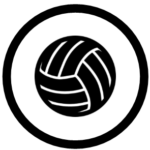 Teams are invited to provide own warning balls. Teams will be responsible for the handling of the score-board.